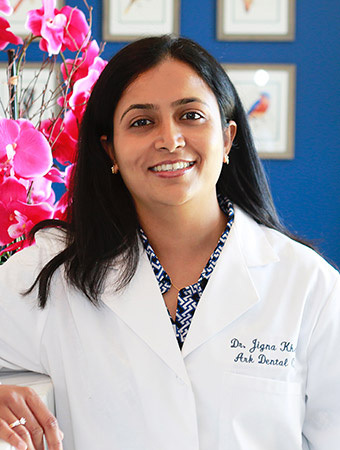 Dr. Jigna Khetani has been practicing dentistry since 2003. She decided to become a dentist because of a desire to help people. She loves dentistry because it is a blend of art, skill and science that allows her to give her patients both optimum oral health and beautiful smiles that boost their confidence. She created Ark Dental Care to be able to provide top-quality general and cosmetic dentistry for the entire family. As part of her wide array of services, she provides Invisalign® clear teeth straightening for our adult patients, and very durable and lifelike replacement teeth for patients receiving dental implants. Patients comment on how they like Dr. Khetani’s friendly and gentle manner, and how she pays great attention to detail during treatment and makes sure they are always comfortable. 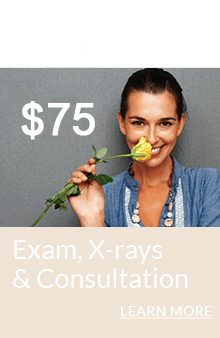 They also appreciate the fact that she thoroughly educates them about all their treatment options and answers all their questions, which they say makes it easy to relax, feel confident and make good decisions. Dr. Khetani earned her Bachelor of Dental Surgery degree in May 2003 from the Government Dental College and Hospital in Mumbai, India. She then completed a one year internship and another four years of private practice to gain experience and hone her clinical skills before embarking on further studies. After moving to the United States, she graduated with a Doctor of Dental Surgery degree from the University of the Pacific, Arthur A. Dugoni School of Dentistry in San Francisco, in June 2011. She also obtained certification to provide Invisalign clear teeth straightening in December 2010. Dr. Khetani continues to take regular continuing education courses to stay on top of the latest developments in dentistry, so she can provide her patients with the best possible care. Dr. Khetani likes to give back to the community—she has regularly participated in charitable services since starting in dental school. 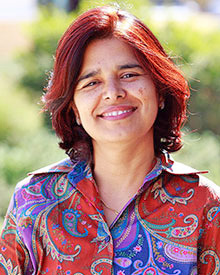 She provided free dental checkups for underprivileged kids when in India, and after moving to the United States, she has been providing volunteer services at Kaiser Permanente Hospital in San Jose. When not in the office, Dr. Khetani enjoys music, hiking and spending time with her husband and children.